Configurar : #362b3f _foreground \ #8a6fa3 _background. 1- Abrir nova imagem de 1000 x 700 . Preencher com o gradiente formado pelas cores selecionadas acima. Configurar: Linear \ A=90 e Repeats =1. Invert desmarcado. Plugin Paper Textures\ Canvas ,Fine _ Default ( 156\ 87 ). 2-Nova Layer. Preencher com a cor do background. Aplicar a @ildiko_create_mask_free_029. Layer\Merge Group. Effects \ 3D Effects \ Drop Shadow 6\ ( menos) -5 \ 64 \ 18,00. Color=000000. Nova Layer. Preencher com o mesmo gradiente. Selections\ Modify\ Contract 10 pxls. Delete. Selections\ Select none. Plugin Alien Skin Eye Candy 5: Impact\ Glass... Setting\ use Setting\ katrina . Layer\Duplicate. Image \ Mirror Vertical . Layer\ Merge Down. 4-Edit Copy no tube 4613-luzcristina \Paste As New Layer. Image\ Mirror Horizontal. Resize80%. Layer\ Arrange\ Move Down. Posicione a gosto. 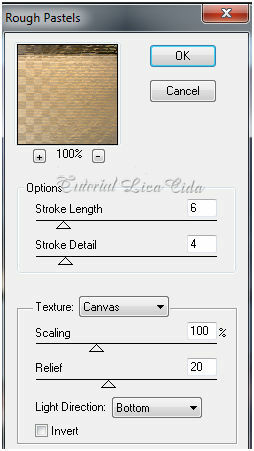 Com a ferramenta Selection Tool, selecione como print_ na Raster2. INVERT. DELETE_ na Raster3. Selections\ Select none. Raster2\ Layer\ Merge Down. 5-Edit Copy no Gabry.mist 142 \Paste As New Layer. Resize80%. Layer\ Arrange\ Move Down. Adjust\ Sharpness\ Sharpen More. Edit Copy no Gabry.mist 142 ( deverá estar na memória) \Paste As New Layer. Resize 70%. Posicione. 6-Ativar a Raster3. Seleção Personalizada2. Preencher com o mesmo gradiente. Selections\ Select none. 8-Ativar a layer inferior, Raster5. 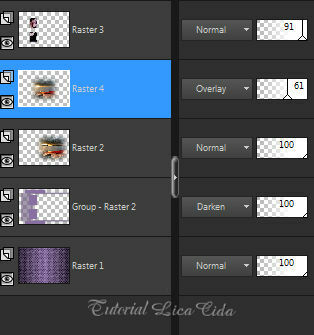 9-Ativar a Group_Raster2 ( layer da mask). Select All. Edit Copy no Ildiko_create_deco (133)\ Edit Paste Into Selection . Selections\ Select none. Blende Mode=Screen . Opacity 63% . Edit Copy no Ildiko_create_deco (117) \Paste As New Layer. 11-Ativar a raster superior. Edit Copy Ildiko_create_deco (157) \Paste As New Layer. Posicione e use a gosto. 12-Edit Copy no Ildiko _create_deco (8) \ Paste As New Layer. Resize 80%. Posicionr, use a gosto. 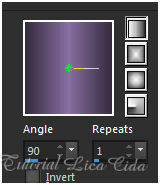 Blende Mode= Luminance(L). 13-Edit Copy no bird_brushes_II_by_lpdragonfly_5 \ Paste As New Layer. 14- Image add borderes 1 pxl cor clara. Image add borderes 2 pxls cor escura. 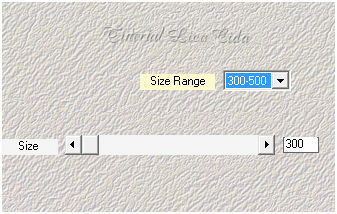 Image add borderes 1 pxl cor clara. Image add borderes 30 pxls cor escura. Plugin Paper Textures\ Canvas ,Fine _ Default ( 156\87 ). Effects \ 3D Effects \ Drop Shadow 0\ 0\ 80 \ 40,00. Color=000000. 15-Edit Copy no tube \ 4613-luzcristina \ Paste As New Layer. Posicione a gosto. 16- Image add borderes 1 pxl cor clara.